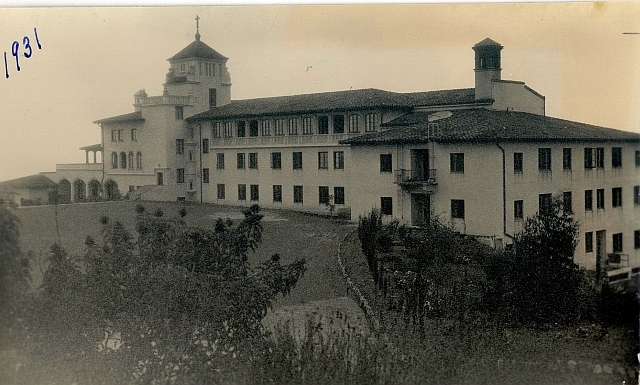 Mount St. Mary's College in 1931. Picture was taken from about where the tennis courts are now. WE LOVE TO POST PICTURES OF BRADY HALL in the olden days, especially when it was the sole building comprising Mount St. Mary's College, 1930-1939. Here is an interesting angle that nowadays is hidden by Mary Chapel. Where once there was an expansive lawn is now just a small cloister-style courtyard.